The Chancel Choir is First United Methodist's premier choir. Musical director is Beth Strecker. Performing arrangements of both contemporary and traditional religious music, the choir sings at both 8:15 and 10:30 services. 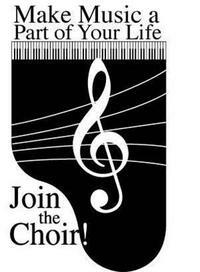 The choir practices each Sunday morning and on Thursday evening from 7:00pm until 8:00pm at the church. You can join the Chancel Choir! All are invited to come and share the joy of singing and fellowship!